Dawn casts a rosy glow on Ortakoy Mosque in Istanbul, Turkey. Boreholes in the nearby Sea of Marmara revealed the latest slow slip event under Turkey. An earthquake lasted 50 days, but no one felt it. Here's why. “You could call them phantom quakes,” one geologist says of the tectonic phenomena known as slow slip events. Back in the summer of 2016, a big earthquake struck northwestern Turkey. That’s not so unusual, considering that the region sits atop a highly active branching fault network that has a history of producing some seriously powerful tremblors. The strange thing about this particular quake is that it lasted for 50 days, and not a single soul felt it. According to a new study in Earth and Planetary Science Letters, the temblor was a very peculiar type of earthquake known as a slow slip event. Unlike “typical” earthquakes, which crack the crust with a sudden jolt, slow slips involve very gradual movement along a fault. They release none of the damaging seismic waves you might normally expect, which means they don’t produce shaking. “You could call them phantom quakes,” says study leader Patricia Martínez-Garzón, a geomechanics researcher at GFZ German Research Centre for Geosciences in Potsdam. So what exactly are slow slip events, and what do they mean for overall earthquake hazards? We’ve got you covered. Slow slip events were discovered in the Cascadia Subduction Zone in the U.S. Pacific Northwest in the early 2000s, shortly before they were spotted in New Zealand’s subduction zones, says Rebecca Bell, a senior lecturer studying tectonic evolution at Imperial College London. Prior to the turn of the millennium, the consensus among geologists was that faults could break in two main ways. On one end of the scale, you get stick-slip faults, which can get stuck for hundreds of thousands of years before suddenly rupturing in large quakes. On the other end, you get faults that creep along quite passively, moving no faster than the rate at which your fingernails grow. “Slow slip events made us realize that there’s a whole spectrum of fault slip between the two,” Bell says. These curiosities release the energy matching that of a sudden, big earthquake but happen over such a long time that the energy never translates to any surface shaking. If the former could be compared to powder keg explosions, then slow slip events are more like candles slowly burning through their fuel. Their glacial pace cannot be understated. The Turkish quake’s 50-day odyssey may sound slow, but it’s not so unusual, says Lucile Bruhat, an earthquake physics researcher at the Ecole Normale Supérieure in Paris. To her knowledge, the longest slow slip event ever recorded was in Alaska, and it produced a magnitude 7.8 event that took at least nine years to come to an end. This event took so long that until it stopped, the researchers had assumed that the fault’s gradual crawl was simply what the region had always been doing. This slowness means that, unless you’re on the lookout for them, slow slip events are easy to miss. What’s more, the lack of seismic waves means that the events can’t be detected with seismometers. Geologists first noticed slow slip quakes based on data from GPS stations, which record the changing shape of the planet’s surface. In the new paper, Martínez-Garzón and her team captured the Turkish example using boreholes in the Sea of Marmara. These pits were filled with strain meters, which measure the slow deformation of the rocks around them. Sometimes, very small tremors moving along the fault can also track a slow slip event as it happens. “A good analogy for that is when someone walks on a wooden floor on the floor above,” Bruhat says. “We can't see them, but we can track the motion using the sounds of the wood cracking.” And as soon as scientists knew what to look for, they found slow slips occurring near subduction zones all over the world. “Slow slip events are very common, and most of the time harmless,” Bruhat says. In Cascadia, for example, slow slip events registering as magnitude 6.0 quakes can last two or three weeks and can repeat every 15 months, on average. There’s even a website that lets you know when one is taking place. Similar magnitude events happen at intervals of five to nine months along the southern Ryukyu subduction zone in Japan. In New Zealand, there are two hotspots for slow slip events. One lies beneath the capital city, Wellington, and involves events equal to a magnitude 7.0 quake. But because they take 12 to 18 months to occur and they happen at considerable depths, the inhabitants of the city are none the wiser. The other hot spot sits in the northeast corner of the country’s North Island. These shallower slow slip events are of similar magnitude but are far stranger. Here, they repeat almost like clockwork every 18 months to two years, “almost where you can forecast where the next one is about to occur,” Bell says. This gives geoscientists a rare opportunity to install instrumentation at just the right time to spot them. Detecting slow slip events is just one piece of the puzzle. The very fact they are seen as odd showcases just how early our understanding of these phenomena actually is. Working out what triggers slow slip events is a top priority for phantom quake hunters. But so far, “the origins and nature of slow earthquakes are somewhat enigmatic,” says Masayuki Kano, an assistant professor of geophysics at Tohoku University. Can slow slip events trigger big earthquakes, though? That's the bigger question, and one we haven't really solved. There is a chance that slow slip events are driven by strange mechanical properties of fault material that we simply don’t yet understand. It’s also possible that slow slip faults are under a higher fluid pressure, meaning that they are better lubricated and can crawl along at a gradual pace. Laboratory experiments mimicking these conditions seem to back up this idea, but it’s still unclear whether that’s the case on a larger scale in the real world. Increasingly intricate fieldwork may help solve the puzzle. Martínez-Garzón’s team has now covered the part of Turkey around the Sea of Marmara with plenty more strain meters. Bell and her colleagues have been burying seismometers within parts of New Zealand’s Hikurangi subduction zone to reveal the properties of the faults that slowly slip. The International Ocean Discovery Program has also drilled into the subduction zone there to directly sample the sediments involved with these slow slip events, while also sending seismic waves through the region to better map out the fault networks there. These multidisciplinary efforts are vital to unravelling the secrets of slow slip events, Kano says, which may in turn help us better understand their more destructive cousins. It already appears that large quakes can initiate slow slip. A normal magnitude 4.4 quake took place in the Sea of Marmara shortly before the slow slip of 2016 began. And after New Zealand’s Kaikoura earthquake in 2016, slow slip was detected all over the region. These type of events hint at an interaction between seismic and aseismic processes, Martínez-Garzón says. That certainly matters for the Sea of Marmara. This region is home to some truly devastating earthquakes, including the 1999 Izmit quake that killed 17,000 people. Although cautious, Martínez-Garzón suspects that the slow slip events could be putting stress on other, more dangerous faults. Slow slip events could also be the key to forecasting future devastation. Shortly before the horrific magnitude 9 Tōhoku earthquake in Japan in 2011, slow slip had already started to take place, but it’s difficult to tell if this was down to chance or not, Bell says. 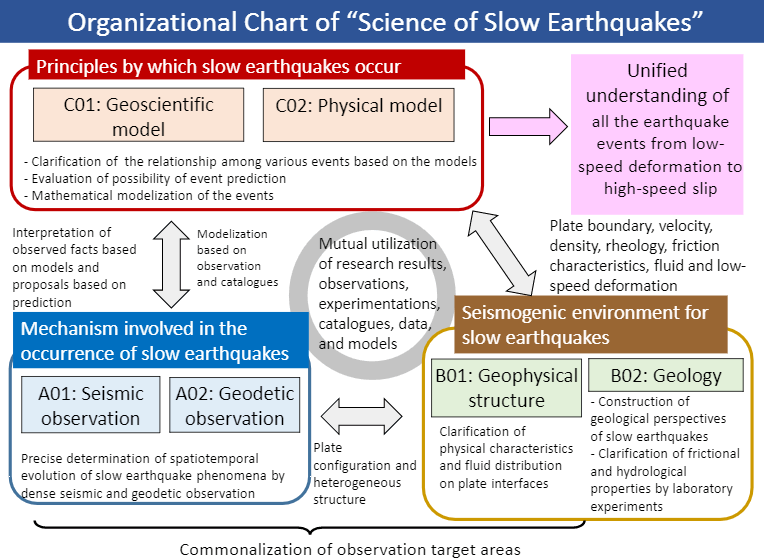 If it’s eventually confirmed that slow slip takes place before large events, then the potential for life-saving earthquake forecasting here is huge.